NOTE: Just a reminder that Monday, February 18, is a national holiday in the US with no postal service. 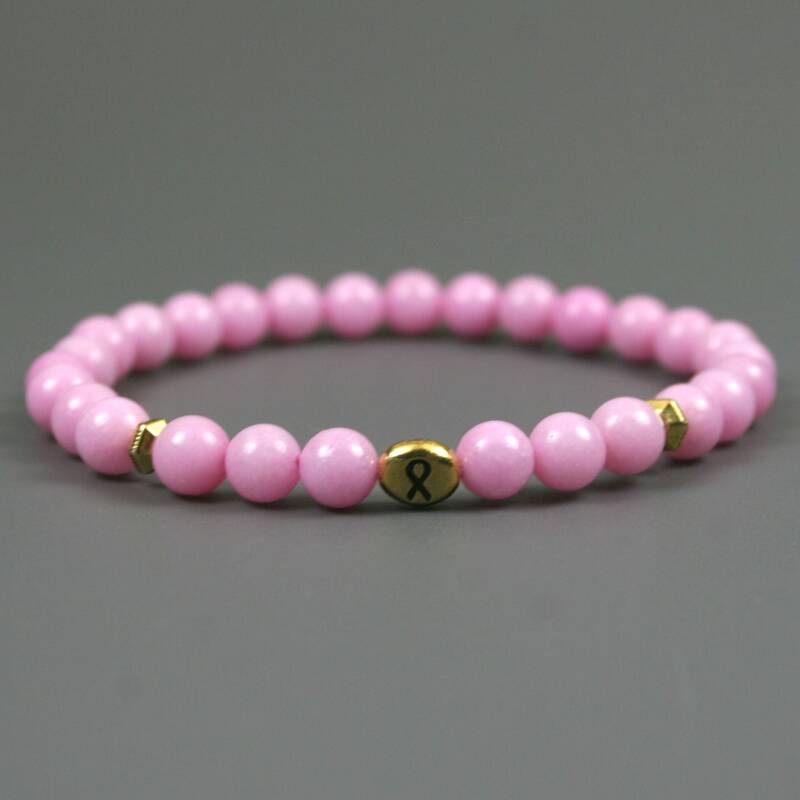 All orders placed between now and Monday night will ship on Tuesday when the post office reopens. 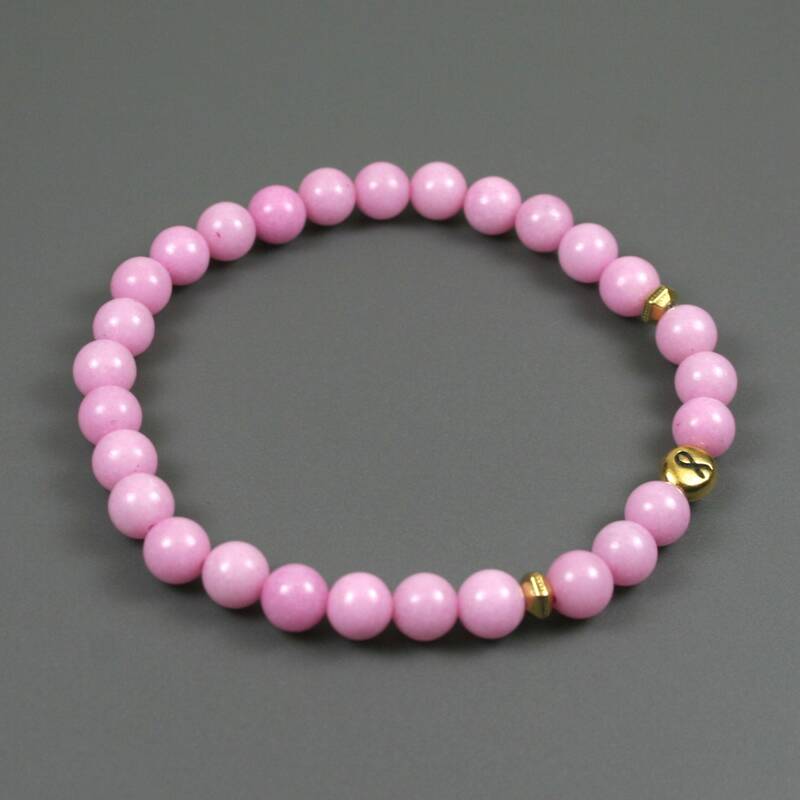 This bracelet is made from 6 mm round pink dolomite beads with a flat, oval, antiqued gold plated pewter focal bead with an awareness ribbon engraved on both faces and a pair of antiqued gold plated faceted hex spacers. 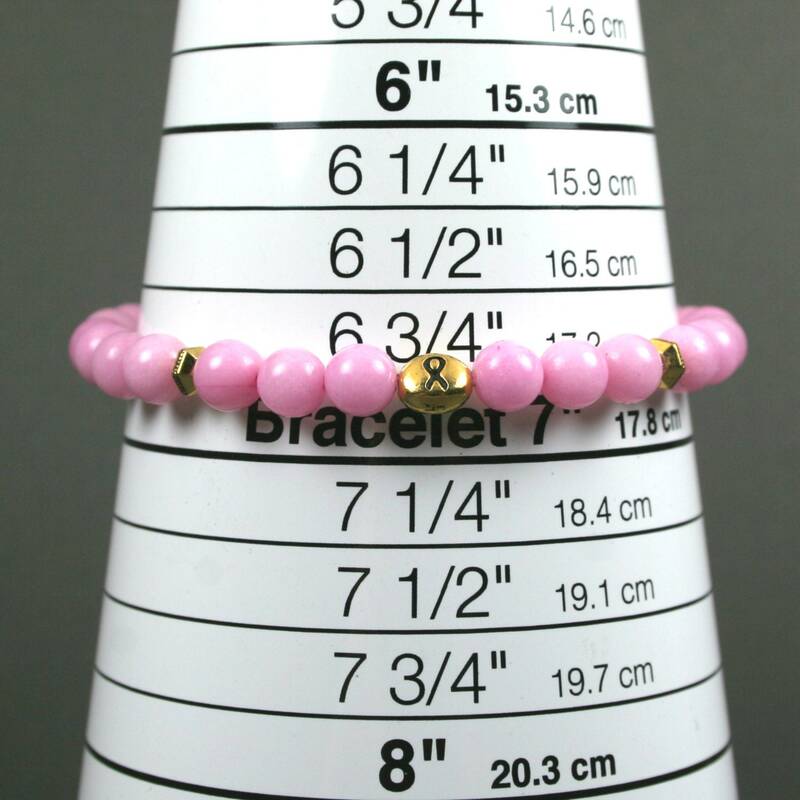 As shown, it is sized to an inner circumference measurement of 6.75 inches where it touches the wrist (see image 4). 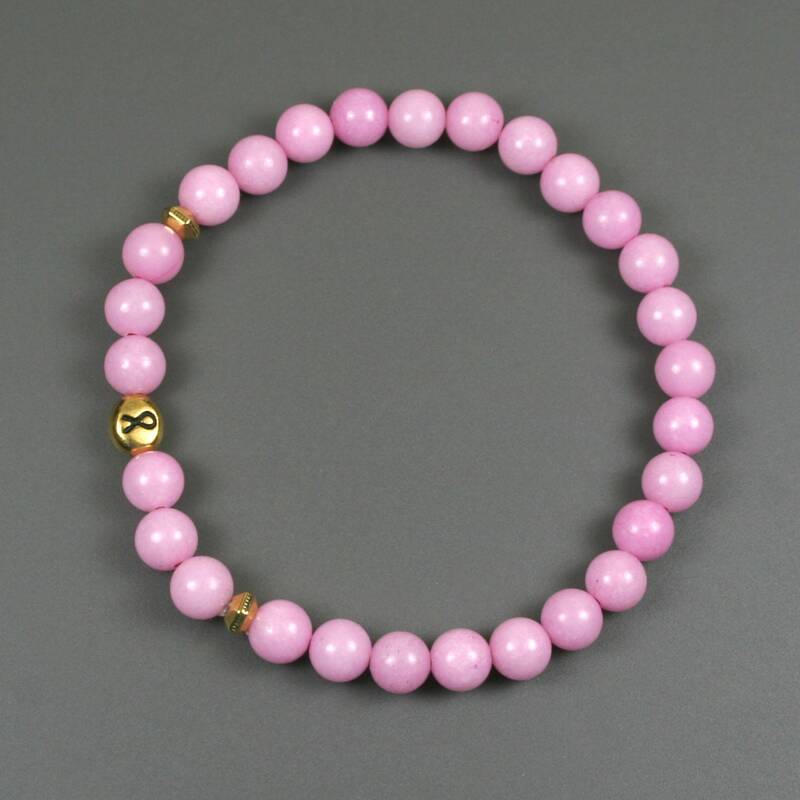 The size can easily be adjusted with the addition or subtraction of pink dolomite beads for no extra charge. 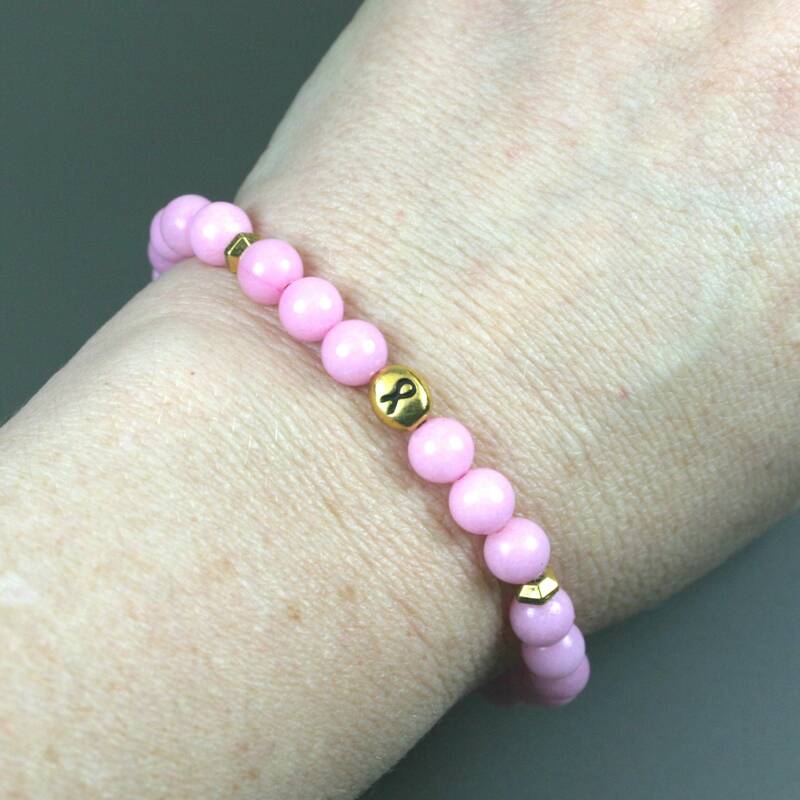 If you need a different size, leave a note with the size you desire in the comments area of your order, and I will re-size it for you prior to shipping.